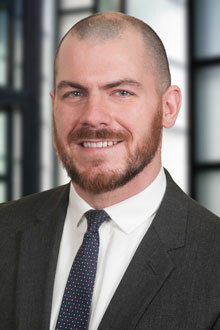 Timothy Gondek is a partner in the Hartford, CT office of Lewis Brisbois, and a member of the Professional Liability Practice. Tim's practice focuses on defending a variety of professionals, including attorneys and accountants, as well as defending insurance agents and brokers against E&O claims. He has recently expanded his practice to encompass a variety of construction defect matters. With ten years of litigation experience, Tim has first chair jury trial experience, and has represented clients in dozens of successful mediations and/or arbitrations. In addition to his professional liability practice, Tim has significant experience defending medical professionals against claims of medical malpractice, including physicians, mental health professionals, nurses and nursing homes. Additionally, Tim maintains a general liability practice, and also regularly defends condominium association executive boards against D&O claims.